Is 'no kill' to blame for the RSPCA's failing reputation? "“No Kill” is plainly and simply a marketing concept that has reaped millions of dollars for those shelters advocating this policy, to the detriment of animals and other shelters... “No Kill” shelters have made it extremely difficult for other animal welfare agencies to fundraise effectively and retain a strong staff and volunteer base.... the focus needs to shift away from euthanasia rates and concentrate on one simple question - how can we rehome more animals?" The RSPCA is complaining that the existence of no kill advocates and shelters in Australia is making it hard for them to continue to fundraise and generate support from the community. They're proposing that by the community expecting and demanding pounds and shelters to be a safe place for pets, and with there being organisations either evolving to commit to no kill processes, or starting up to support these no kill pet-lovers expectations to support the care and protections of pets, that the RSPCA in turn then suffers from less community support, less funds and less people willing to work for them. Why would anyone who loves animals work in a place that makes them kill saveable animals unnecessarily? Why would anyone who loves animals give money, pledge their house or bake a cake in support of an organisation who kills pets who could, and should, be saved if proven processes were implemented? But this is not the fault of no kill shelters, or no kill rescuers, or no kill advocates. Any "problems" for the RSPCA being generated by these no kill, life-saving and compassionate solutions being rolled out by other shelters, is 100% the fault of the RSPCA themselves. Any other industry when faced by a new, superior technology or processes entering the market, would embrace that new technology or expect to become obsolete. What they would not do is deny the existence of the new technology - jam their fingers in their ears and repeat 'la la la' - and hope the new processes never make it to Australia. Or if they did, then management should be sacked. 21 years ago RSPCA staff visited the United States and saw first hand how a major organisation had reached No Kill goals. Later, in 1996 at the Urban Animal Management Conference, the solution to shelter killing was presented to our animal management and animal welfare leaders. It should have been a pivotal moment for animal sheltering in our country. The presenter was Richard Avanzino the then President of The San Francisco SPCA. In the time that he had lead their organisation he has transformed it into one of the premier No Kill shelters in the United States. In the first year (1995) his programs achieved a 88% live release rate. In 2003 - nearly a decade after the first no kill communities were established, and as RSPCA shelters killed 50% of unclaimed dogs and 60% of cats, the organisation was challenged over their failure to implement the no kill programs being rolled out with enormous success all over the world. Rather than examine what was being asked of them – to see whether there were shelters in San Francisco, Los Angeles, the UK and Europe, or even here in Australia that were doing something that they were not – the RSPCA went onto the defensive. THE RSPCA stands accused by Animal Liberation and Animals Australia’s Mark Pearson... of “the ultimate betrayal” and “final abandonment”. But just who does the exhausting, costly, physical, day to day, dirty and agonisingly heartbreaking work to relieve animal suffering?.... Mr Pearson claims the RSPCA is not following world’s best practice, inferring that a number of overseas and Australian shelters do. While the RSPCA welcomes the presence of other animal welfare organisations and accepts that some may operate as “no kill”, are some of the very practices he espouses leading to animal suffering far worse than death? In 2009 Nathan Winograd visited our shores to demonstrate the now clarified steps to No Kill. These 11 programs and services now boast hundreds of communities representing about 500 cities and towns across America, including those in Kentucky, Virginia, Indiana, Utah, California, New York, Texas and elsewhere, are saving roughly 90%* of all animals and as high as 99%. There has been books published, movies made and hundreds of communities that have proven the validity of the processes and programs, by the fact that they have eliminated shelter and pound killing. This would be seen as a good thing by the RSPCA, surely? Any animal shelter management worth their salt should be clambering to embrace no kill programs, because not killing the animals you're being paid to care for should be a core driver of shelter operations. The RSPCA has had more than twenty years to embrace no kill programs and services. Despite their assertions that no kill is to blame for their charity's current woes, the existence of no kill and no kill shelter techniques is not even close to a "new" thing. So if its not no kill, then what is sinking the RSPCA's brand? Well, let's take a look at some recent history. 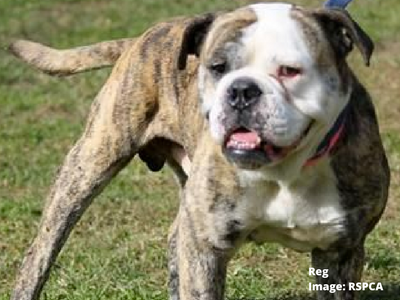 The RSPCA in WA claims to be the premier organisation in the state, taking the lion's share of charity donations, bequests and government grants - yet regularly has only a handful of dogs available for adoption (just three as this goes live) and adopted just 228 dogs in 2015/16. The RSPCA WA took a $670,000 investment from the WA community to build a new cat facility, only to achieve just 421 cat adoptions in 2015/16; or less than half that of some independent community foster care groups in the state. Despite this complete failure to perform in their core role of pet adoptions, the new state government has pledged a further $2 million dollars to build the RSPCA more facilities south of Perth. 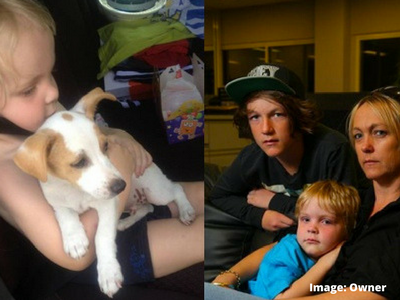 The RSPCA WA has refused to take back ‘returns’ of pets adopted from them – even when those pets are at risk of death. It has been accused by its own staff of euthanising eight-week old puppies for ‘behavioural problems’ and according to their own inspectors, staff have been reluctant to bring pets into the shelter for fear for the safety of their lives. 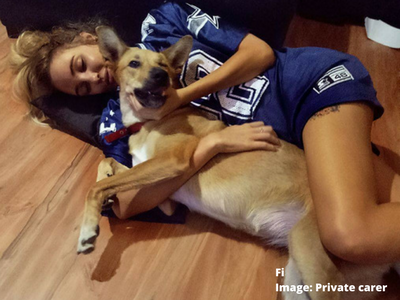 Braveheart was a dog being cared for by local rescue groups in Broome. The rescuer's fears came true when after the dog was seized by the RSPCA, and instead of receiving long-term care as would have been required for his recovery, he was killed. 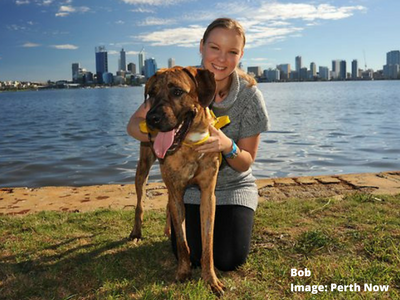 'Bulletproof Bob' was the 'spokesdog' for the Million Paws Walk, attending the South Perth event after he was found with gunshot wounds to the head. Shortly after his appearance, he was “euthanised” for his now apparently unsurvivable injuries. 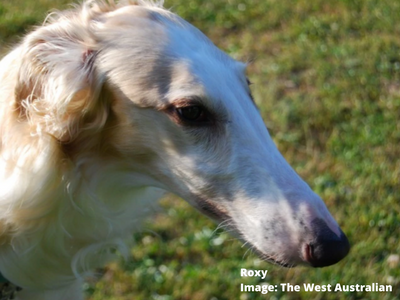 Roxy, a dog who entered RSPCA care as a healthy, happy animal was transformed while there into a broken mess. She has been transferred to a home interstate with the RSPCA refusing to return her, despite a court order by the state government demanding it. But that is just the news from one state of the national RSPCA. The RSPCA NSW has consistently underperformed its peers, killing more and rehoming less than any other RSPCA state over the last decade. The organisation publicly snubbed the rescue groups choosing instead to the kill pets these rescue groups would have saved. The organisation has taken credit for placing pets in homes, whom it actually killed, and has killed pets for treatable illnesses even as rescue groups beg to be allowed to take the pet for treatment. The organisation artificially drives up intake rates by taking on multiple council tenders and more animals than they can reasonably home, but then when starting to face real tangible community backlash for its high kill rates, worked to close - and sell for profit - a community animal shelter gifted to them by the pet lovers of that community. The RSPCA NSW supports ‘catch and kill’ programs which see high numbers of cats die in pounds, and has worked with councils to remove protections for feral and infant animals, allowing them to be killed faster and more efficiently. It defended, and awarded a 'certificate of appreciation' to a council ranger who was found to be shooting dogs and dropping their bodies at the tip. The organsation was outed for paying staff more on the days they killed pets, financially incentivising killing. At the same time the organisation maintained that it wasn't killing pets at all and that "there is no death row at the RSPCA NSW". While accusing no kill rescuers of 'picking and choosing' adoptable pets, the organsation cherry-picks pounds all over the state, taking in adoptable pets and leaving less adoptable pets to be killed in the pound. While doing this, they worked hard to hide their statistics from the public, leaving out pets who were killed at even the pounds they were contracted to run from their end of year statistics. The RSPCA NSW joined forces with bulk, wholesale puppy breeders to promote pets being sold in RSPCA approved pet stores. Fi, was a dog who was killed by the RSPCA even as her foster carer begged to be allowed to pick her up and adopt her. 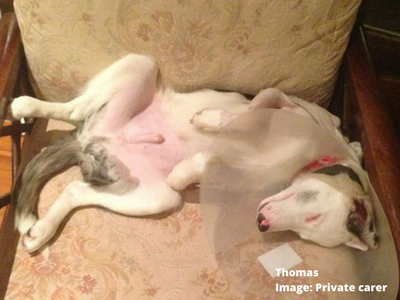 The RSPCA put a blind pup with a broken leg, Thomas, into foster care. After a month, and as his carer begged to be allowed to save his life, they removed and killed him for ‘separation anxiety’. 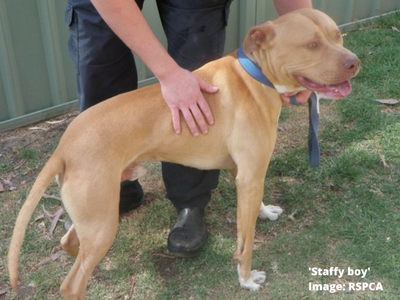 Staffy-boy entered the RSPCA after his owner failed to have his broken back-leg fixed. It wasn't the injury, but the 'care' offered by the RSPCA that killed him. A dog who entered RSPCA care developed an ear infection. 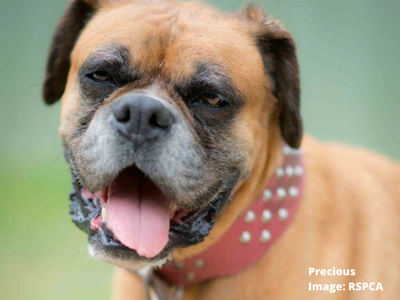 Precious was a purebred boxer and breed rescue groups begged to be allowed to seek care at a specialist vet, but she was killed. Reg was made available for adoption and was used in a RSPCA NSW promotion as having ‘found his forever home’. In reality, Reg was killed. 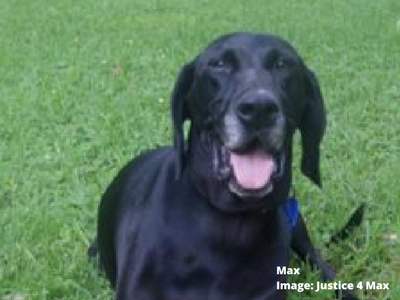 Max was was killed at the RSPCA despite wearing a rescue group identification tag and them being willing and ready to collect him. 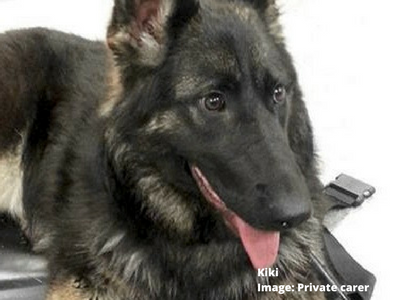 Kiki was a purebred German Shepherd pup who was struck by a car and taken to the RSPCA. The man who rescued her emphasised that he would find her a home and pay for any treatment, following up regularly trying to secure her release. She was killed. Nikki (1yo) and Rocket (2yo) were two young jack russells who were impounded for being stray. Despite wanting her dogs back, as their owner could not come up with the hundreds of dollars required for their release, they were killed. Eight dogs described in the RSPCA media release as ‘pups’, meaning they were likely under a year old. 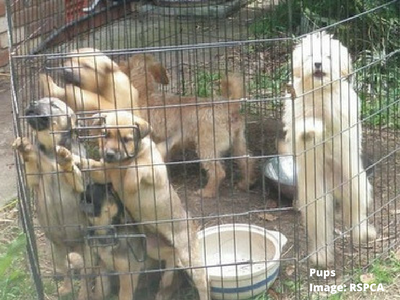 Despite this, after being ‘rescued’ by the RSPCA NSW and held for more than six months, these dogs were killed. 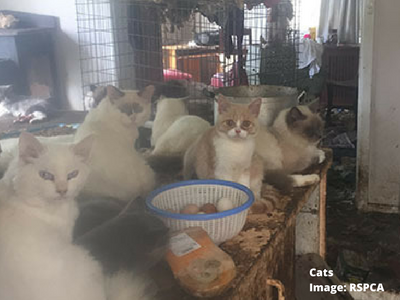 43 cats were rescued by the RSPCA. Every single one of the cats was killed. Even though dogs from the same property were saved and with rescue groups happy to step in, not a single cat was deemed saveable and the RSPCA slaughtered the lot. Moving to Queensland and the RSPCA Qld penned the blog post, identifying themselves as at odds with the lifesaving policies of no kill shelters. But this is not the first time it has derided the efforts of other groups in the community to save lives. The RSPCA QLD worked hard to destroy the reputation of a competing animal sheltering organisation, tag-teaming with a local politician (who held a position on their board) to create an overhyped, and unfounded investigation into the operations of this competitor. When the contract came up for renewal with council, the competitor was dropped and the RSPCA took over running the same facility. The RSPCA QLD joined forces with puppy farms offering to not only promote their approved pet store chains, but to take on - for a reasonable charge - any pet shop animals which were later abandoned by their owners betraying the dogs languishing in warehouse breeding establishments. 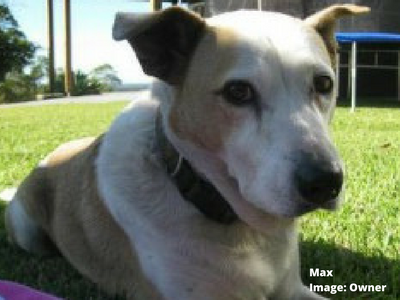 Max was a 10 yo dog whose owner frantically looked for her, but whom had been moved from a council pound, to the RSPCA. By the time the owner was told there were two facilities she should have been looking in, her dog was dead. 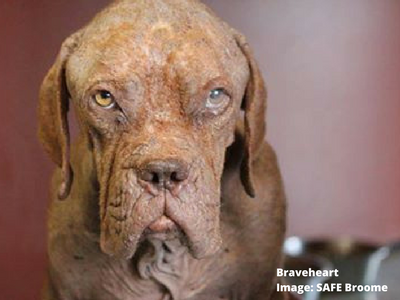 This friendly pet dog was never offered to rescue, or for adoption. And with good reason. They're documented repeated, institutionalised failings. If the RSPCA is struggling in the face of "competition" from groups with more compassionate policies, then they have no one to blame but themselves. The management of the RSPCA have acted in ways that have damaged their brand - over and over - time after time - and pet after pet - for years. They've failed their frontline, animal loving staff, causing them untold, unnecessary emotional suffering. They've failed their donors who trusted and supported them. And they've failed the pets they were given the privilege to care for. To now try and turn that around and blame the no kill shelter, no kill rescue and no kill advocates for their predicament - the same people and groups who, for the last decade, have be working to see life-saving policies implemented in their own local pounds and shelters is as insulting as it is, absurd. It is time that the RSPCA chose to become answerable to its own irresponsibility and stop looking for outside factors to blame for its terrible, dangerous culture. It must commit completely to the programs and services of no kill that other shelters and communities have demonstrably shown eliminate the need to kill animals, if it wants to be relevant to pet loving australians in the future. We have shown by the RSPCA's railing and wailing about a lack of support and donor funds going elsewhere, that we will not continue to support an organisation who does not respect or reflect our compassionate views about our companion animals. The RSPCA must embrace and commit to no kill.